On the same day that Hillary Clinton tweeted that the Las Vegas massacre would have been much worse if the shooter had used a silencer, her former running mate Sen. Tim Kaine (D-Va.) made essentially the same claim in an interview with the Washington Post. That caught the eye of Washington Post fact checker Glenn Kessler, who had called out Clinton’s tweet by pointing out that an AR-15 with a silencer was still as loud as a jackhammer. Kessler says that Kaine’s staff told him he knew this, but his explanation doesn’t back that up. But given that AR-15 rifles, even with suppressors, are as loud as jackhammers, this does not demonstrate that the gunman was “only stopped” because he did not have a suppressor, as Kaine asserted. “Senator Kaine was making the case that the gunman was stopped when he was because the police were able to locate him on the 32nd floor of the hotel based on the sound of the gunshots,” said spokeswoman Sarah Peck. Even though Kaine’s reasoning on silencers was basically the same as Clinton’s and that of Sen. Kirsten Gillibrand (D-N.Y.) — who was awarded three Pinocchios for her claim on silencers in March — Kessler gave Kaine the benefit of the doubt and gave him just two Pinocchios. Kaine should be more careful when talking about weapons, especially during a national tragedy. We will accept his staff’s explanation that he meant that silencers muffle a gunshot’s source, even though his phrasing certainly sounded like he meant that silencers actually made firearms quiet. Regular readers know we don’t try to play gotcha here at The Fact Checker. 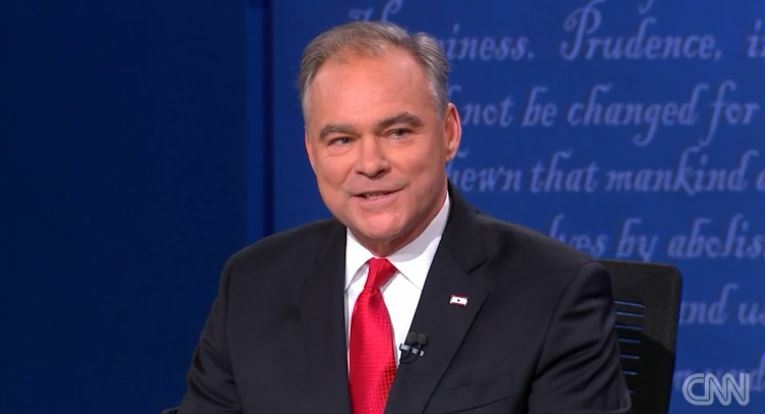 But in any case, the evidence does not support Kaine’s claim that the shooter was “only stopped” because he did not have suppressors on his weapons. That’s exaggerated and could leave a misleading impression on people only familiar with silencers in the movies. The crowd under attack might have had trouble establishing the location of the shooter if he had silencers, but he fired from a hotel filled with guests who almost certainly would have heard 132 decibels from the floors above and below the attack. Kessler may have gone soft on Kaine Pinocchio-wise, but at least he’s calling out liberal politicians for their false claims on silencers which have been ignored by his colleagues in the liberal media.